Ricky Stenhouse Jr. makes me wonder – wonder about things like potential, late bloomers, the economics of racing, luck and rapidly closing windows of opportunity. Stenhouse heads to NASCAR’s season-ending weekend at Homestead-Miami Speedway this week needing, basically, just to roll out of bed on Saturday morning to collect the Nationwide Series championship. 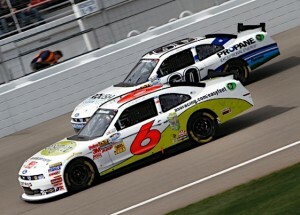 The Roush Fenway Racing driver is 41 points up on second-place Elliott Sadler. If he places 37th or better, Stenhouse wins the champion. And with the expectation that the starting field for Saturday’s Ford 300 will contain several start-and-park teams, finishing 37th should be cake. But, with the speed the RFR Ford Mustangs have shown this year in NNS, with the way Stenhouse has handled those cars and with the way Roush cars have dominated at Homestead in recent years, the guess here is that the start-and-park thing will be irrelevant. So, saying Stenhouse, 24, is going to be your 2011 NASCAR Nationwide Series champion is taking but a very teeny-tiny liberty today. And who would have believed that a year ago? Who would have believed that Stenhouse, adolescent in appearance and almost docile in tone, would be the champion in NASCAR’s second-biggest series in 2011. 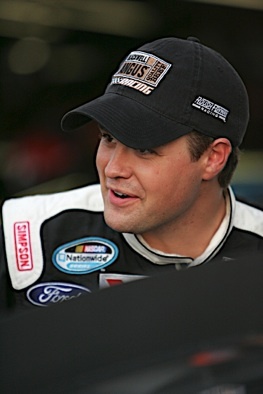 In 2010 Stenhouse was one of a couple of young drivers which Jack Roush had driving his Nationwide cars. Another was Colin Braun. Hopes were high for both drivers when the season started; though perhaps a bit higher for Braun, who had some good runs in the Camping World Truck Series in previous season and who also had a golden resume in big-time sports cars; the kid had stood on the podium at Le Mans, for gosh sakes. Stenhouse and Braun were not, ostensibly, competing at RFR. But because of the economics of the sport, that is the way it kind of turned out be. Sponsorship money was on the run and everybody in the sport knew that nothing less than career survival was on the line each and every time the tailgates of haulers were lowered in track infields. At a time when drivers are not so much groomed for success as they are hurled into the deep ends of pools, nobody has to tell the prospects that their opportunities to make good impressions with credible racing operations can be counted on one finger. Some very interesting talents have paraded through the front doors of North Carolina race shops’ on one day and out the back doors the next in recent years. And the doors at the RFR campus in Concord have been among those getting some of the bigger workouts. With all that as a backdrop, Stenhouse and Braun took to the tracks in 2010 – and foundered. Braun crashed out of the first race of the year – at Daytona. He finished 16th the next weekend and then crashed out of the next two. He would crash out of four more races during the season and would fail to log a single top-five finish. Stenhouse appeared intent on not being outdone . He crashed out of his first two races – at Daytona and Fontana. He would crash out of three more races in the first half of the season. He would crash a bunch of other times but was able to finish those races. about them is that they kept Roush’s car-builders in jobs. Worried about his future? Absolutely, Stenhouse was. A modern young driver, he was very careful in choosing his words about himself, his emotions, his team during a sit-down interview two months ago. But it was quite apparent that for a long period in 2010, Stenhouse was worried about job. “I had no idea what Jack was going to do,” he said at one point about his uncertainty. 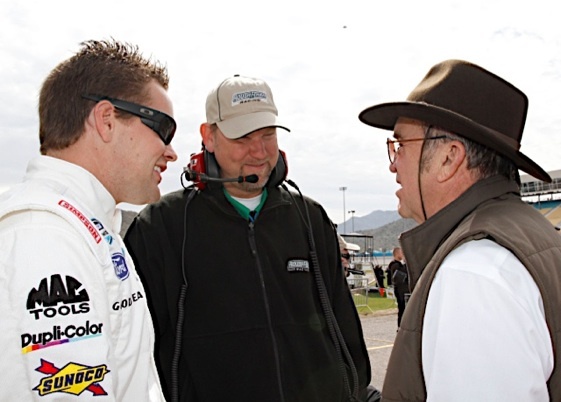 But for 2011, Roush opted to stick with Stenhouse. And now, they are about to be rewarded with another NNS championship. Stenhouse has been consistently competitive this year. He has shown skill, smarts and guts. He’s won two races in a series that is not as heavily dominated by Cup drivers as it used to be, but still puts drivers like Kyle Busch and Kevin Harvick and Brad Keselowski and Care Edwards on tracks on a regular basis. In the current era of sponsorship, when money being sucked out of the sport the way water is sucked out of the Bay of Fundy at low tide, Stenhouse could easily have gone the way of other youngsters who had more talent than they were able two show in limited audition time. He could have went the route of former interesting prospects like Danny O’Quinn Jr., Chase Austin, Todd Kluever, Kelly Bires, Erik Darnell and, yes, Braun. But Roush and his people saw something they liked in Stenhouse and the youngster from Olive Branch, Miss. was given an extra year to prove himself and , in a couple days, team and driver will beat at the head table for the NNS post-season banquet. Great story. But one that makes one wonder which other unpolished gems have been tossed on the slag heep at a time in racing when five-year plans have been downsized to do-it-now-or-split plans.